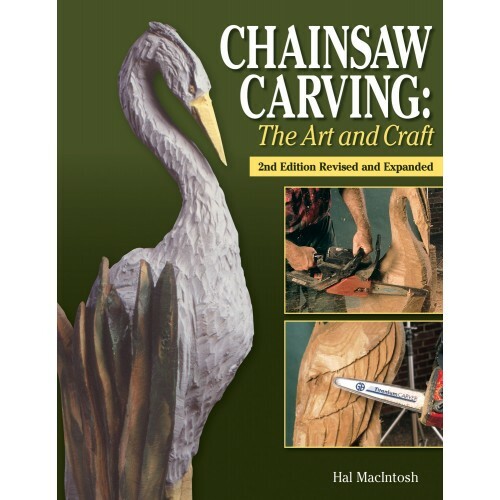 Get inspired to create your own chainsaw art with the help of author and artist Hal Macintosh as he guides you through the chainsaw basics and step-by-step projects that show you how to create "scratch drawings" relief and pierced relief carvings step-cut carvings life-sized three-dimensional carvings and totem poles. An extended photo gallery features the works of 23 chainsaw carvers and this expanded edition includes new projects with detailed line drawings that show you how to make eight craft projects out of one log as well as benches planters and fire wood holders. You'll find that everything imaginable can be created by a skilled chainsaw artisan -- glass-topped tables stately bed frames old-world Santas soaring eagles and more!